Sugoroku is a Japanese board game, whose name can be traced back to "Nihon-shoki," the earliest official history of Japan. It has been very popular since Edo era through the recent years. 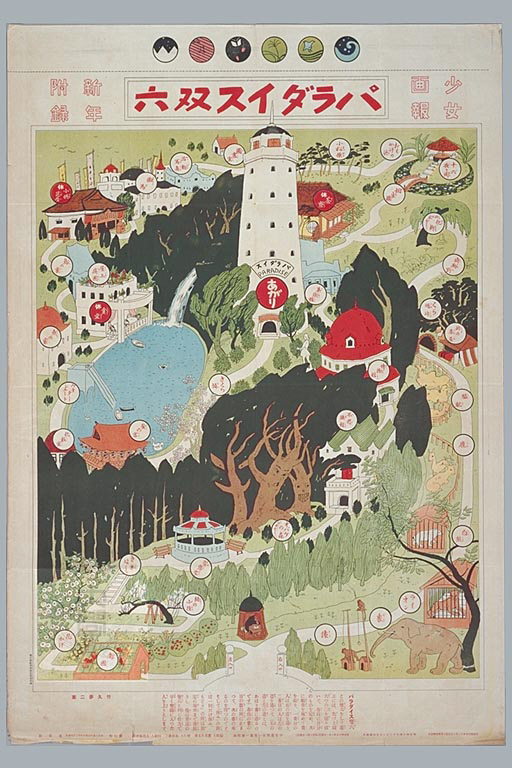 We exhibit beatiful "e-sugoroku"(pictorial sugorokus) of Waseda University Library. You will see modern Japanese life and culture reflected in the sugorokus, such as Kabuki, school life, social success, Western culture's influence on Meiji Japan, and so on. 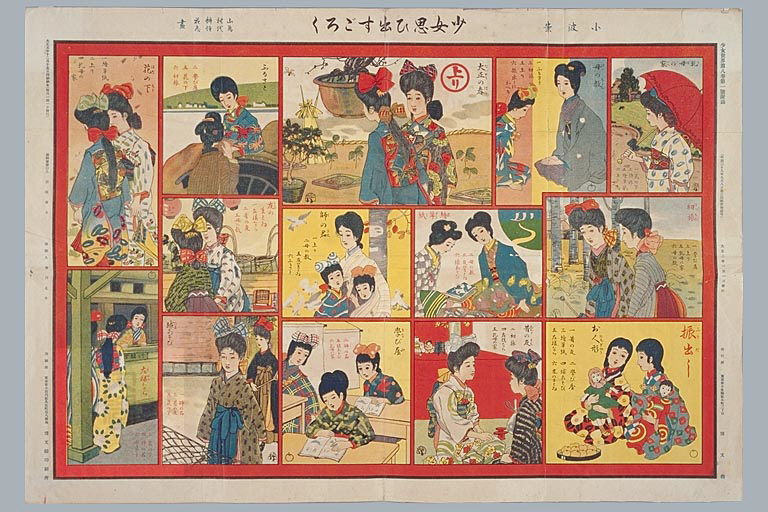 Please retrieve "Kotenseki Sogo Database" to find information with colored pictures of some of our Sugoroku collection. Type "sugoroku" as keyword.